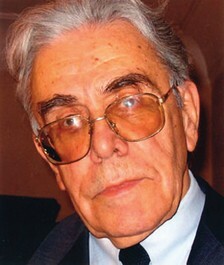 Dejan Despić (1930, Serbia), composer, writer on music, theorist, and pedagogue. Despić studied composition with Marko Tajčević and conducting with Mihailo Vukdragović at the Academy of Music in Belgrade, where he graduated from both departments in 1955. He taught music theory subjects at Mokranjac School of Music (19551965) and then at the Academy of Music in Belgrade (19651995). He was admitted to the Serbian Academy of Arts and Sciences as a corresponding member in 1985 and made a full member in 1994. He is the author of over 170 works in most diverse genres, with a special penchant for concertante genres and chamber sound. Despić has won many awards and prizes, including that of the International Review of Composers, several awards from the Composers’ Association of Serbia, JRT, Radio Belgrade, SOKOJ, and the 2005 Mokranjac Award for his piece Diptih (Diptych), Op. 166, for English horn and chamber orchestra. Works by Despić have been performed at every music festival in Serbia, as well as in various musical centres of Europe and the United States. The work Mančester trio (Manchester Trio) for flute, violoncello, and piano, Op. 93 (1987) bears that title because it was specifically composed for a Manchester, UK, performance by a team of students from the Faculty of Music in Belgrade, as part of what was then a regular exchange of student teams between Manchester’s Royal College of Music and the Faculty in Belgrade. On this occasion, the team comprised Dejan Gavrić, flute; Sandra Belić, violoncello; and Lidija Stanković, piano. In Manchester they performed on 18 November 1987, and the following year they also performed the Trio at the festival Muzika u Srbiji (Music in Serbia, 21 April 1988) and the Opatija Forum (3 November 1988). In the following years, the work was taken up by many other performers, Serbian and foreign alike. Thus in Amsterdam, on 22 June 1993, it was performed by Dutch flutist Jacques Zoon, French cellist Iseut Chouat, and Serbian pianist Aleksandar Madžar, and in Bloomington (Indiana, USA), on 3 March 1996, by the same two European musicians, aided by the US pianist Jonathan Biss. The Trio has also been performed in Denmark, South Africa, Botswana, and, closer to home, in Skopje and Podgorica. Mančester trio comprises three movements, performed attacca, back to back: Arabeska (Arabesque), Elegija (Elegy), and Tarantela (Tarantella).